Who wore what? 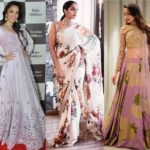 – Get ready to take a look on this week celeb’s sartorial choices, chic styling, enchanting makeup and much more! This week highlight is the star studded south filmfare 2017 award. 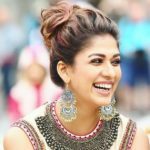 So, we saw many south celebrities donning their impeccable designer gown to glam-up the event. Trisha wore a gorgeous high low Nishaka Lulla gown with chic hair bun for the award night. We love the vibrant purple-pink gown and the Steve Madden fringe sandals. Rakul Preet looked super pretty on a metallic one shoulder gown, which she elevated further with berry lips and nails. It was a lovely shoulder-less long gown for Raashi Khanna to perk up the award event. How lovely the color was on her! Regina Cassandra was spotted in a delicate Shirya Som dress, which has lots of fringe detailing. She accessorized this sleek outfit with an enchanting fringe purse. Ritu Varma donned an utterly stylish black sequin dress, and matched it with darker eyes. She nailed the look. 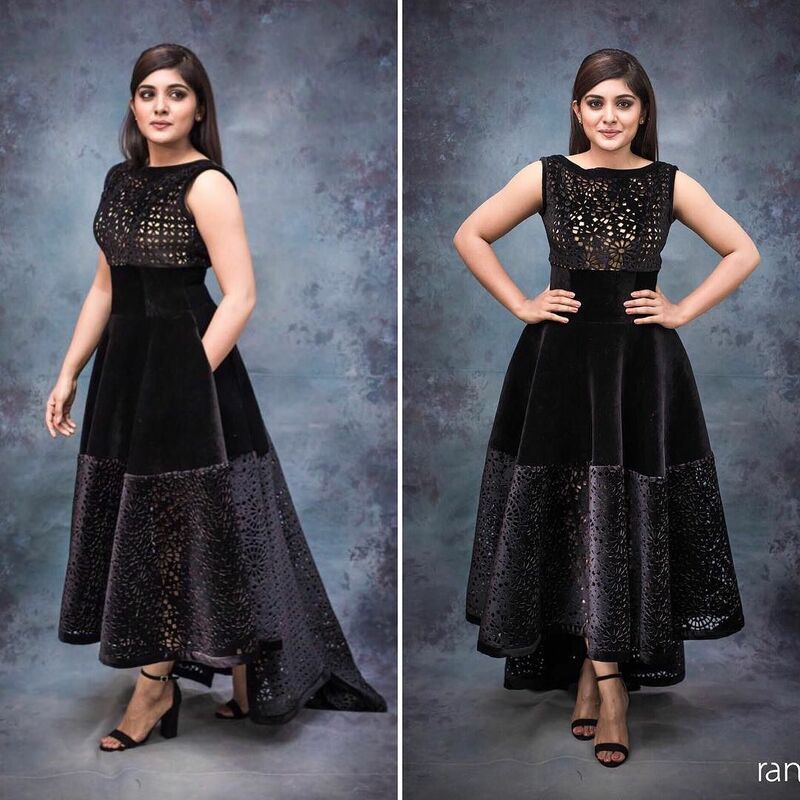 Another interesting black dress came in via Nivetha Thomas. It was a tricky velvet trail dress; nevertheless, the young lady pulled it off with elegance. 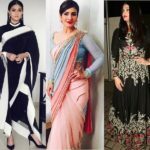 These are few celebrity look we loved on the award night. Now moving ahead, Let’s see few other stars who have made a striking appearance this week. 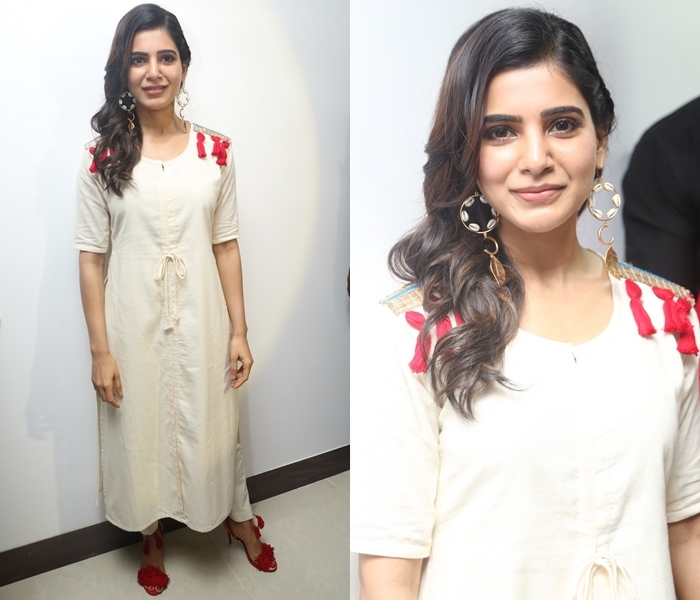 Samantha was spotted on simple cotton kurtha from Kalki. The fringe details in the shoulder were super cute and she made it even prettier by matching it with similar sandals. Also, those earrings are to die for! Sridevi made a pleasing appearance with her pale pink separates during her movie ‘Mom’ promotions. Ok, we conclude that she will never age. Illeana D’ Cruz was spotted at the trailer launch of Mubarakan in a super cool polka skirt and crisp Zara shirt. Deep neck and defined lips made her look so voguish! And finally, we have Deepika Padukone storming out of airport wearing a relaxed slip dress with Nike shoes. PS- we are coveting those coolers. Well..our fashion icons didn’t disappoint us this week. We had noted down all the style cues we could take from them. Who is your favorite in the star crowd here? Let us know by dropping your comments below. Here Is a Huge Inspiration For Black & Red Lovers!